It's funny how you really never know how some little gift you give will be something the person will treasure for a long time. Nor do we ever know how quick something that was more costly to purchase ends up at the GoodWill or a charity like it. But it's the thought behind the gift that counts, right? After that you just have to let it go even if you worked hard or spent generously, if it just wasn't something the receiver wanted, you did give from your heart. In this case a simple gift from some old thrifty place is a gift that remains a part of our home. About 30 years ago Sweet Hubby's sister gave us an old door knob. To some it might have been an odd gift, but we kind of liked it. We brought the door knob with us when we moved to our home now. The color was the typical brassy gold from the time period when it was made. It stayed that way for a while until we found the perfect spot for it. 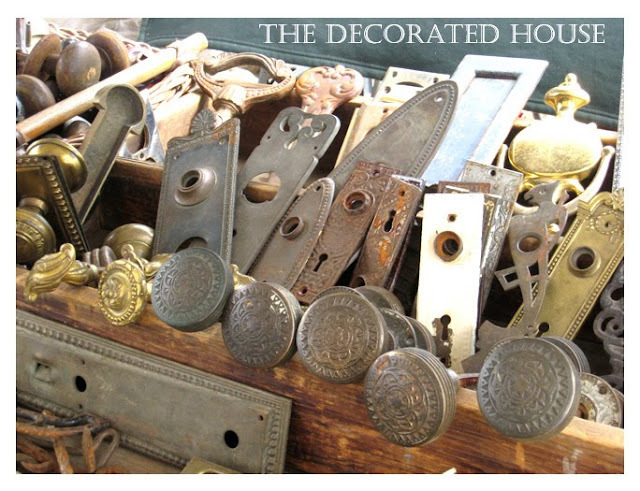 You can still find these lovely treasures at antique markets, and if you get lucky, at a junk or thrift store. The picture above is from a dealer at the large antique (and junk) fair. When I look at the picture now, I'm wondering why I didn't buy one, or two.... I think I found other goodies though and maybe I had spent my limit for the day. That was a really good year to go shopping there. * Clean it very well. Use a small brush or tooth brush to get into the carvings. A good cleaning needs to remove grease and grime as well as dirt. I always use spray on a metal primer. Some have an etching effect which I also like very much. The metal paint primers are superior to the regular primers when you working with metals. In the picture above, I can tell that I used one of the hammered finishes paint primers for metal, which are very good to work with. Oh the wonders of Rub n Buff, a staple around here for over a decade. It's a metallic wax, so it is perfect for this project. Here I used a combination of pewter and silver. I used an acrylic paint. Black is so pigmented, it will still adhere over the Rub n Buff. Paint the black on your piece, then wipe off the top areas to keep them lighter and highlighted. Let it settled into the crevices. If you get too much black on the areas you want highlighted, take a soft damp cloth and wipe it off right away, or if needed, touch up the silver with Rub n Buff. 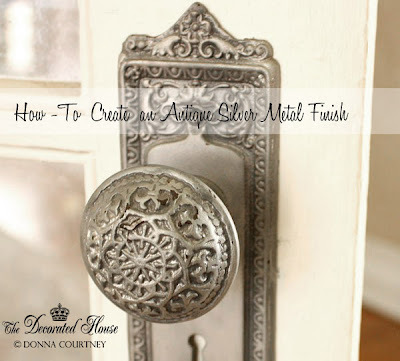 If your door knob will get a lot of use you can spray it with a spray on polyurethane to keep it looking good longer. 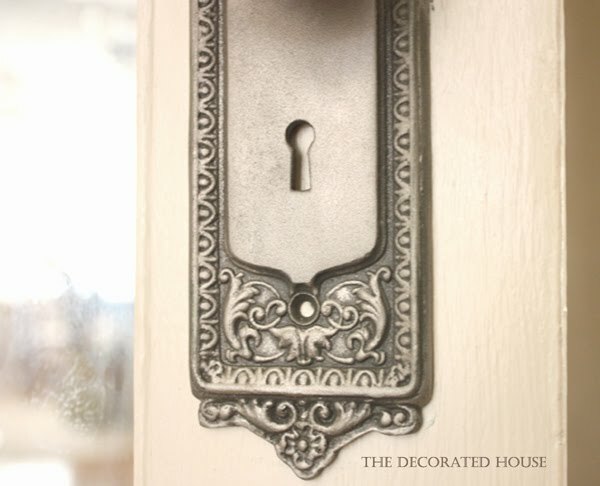 Our door knob graces the French doors that lead from the dining room area. It took years for it to show a little wear. But it does not get a lot of use though. The doors are left open most of the time. I would spray it with at least 3 protective coats if it was used more. Wow, that is beautiful, Donna! I love the look and that is very pretty detailing on it, too. Thanks so much Donna for the tutorial. I have a few pieces to do and am grateful for the instruction. 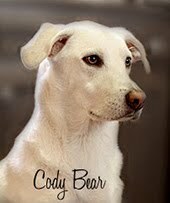 That is gorgeous...thanks for the step by step! 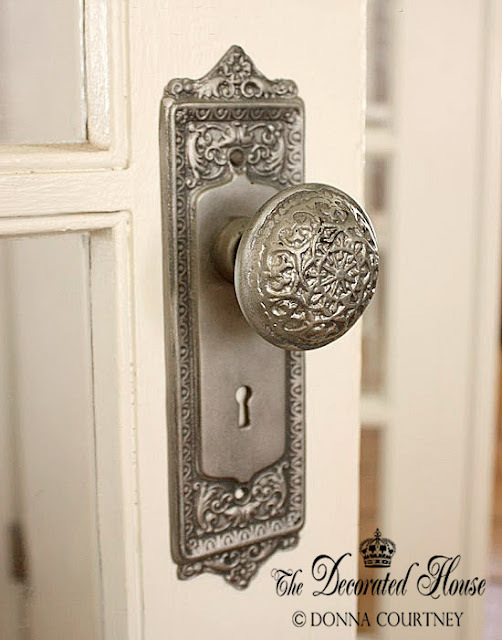 Do the doorknobs actually work? Mine doesn't want to turn right. Any tips for getting it to work like a modern doorknob? This door knob does not work. It doesn't turn, but since I have both sides, it is screwed together and I can pull the French door open. I am very happy to know that the waxing and chalk paint tutorial was helpful to you. You are quite right, tossing the wax in with glazing is a bit different. Thanks for stopping by! all info online says not to top coat. did you have any issues with the Poly? I've used this method of many years. Rub n Buff does have the ability to be rather waxy and needs to be buffed well. But I have used both water based and regular poly over it and it works great. Keeps the finish much longer. If you were speaking of chalk paint from a comment on this post, yes, I do put poly on chalk paint as well. But not over the type of wax that is a part of the chalk paint line, although the non-water based poly probably would work.